David Hackenberg began keeping bees as an FFA project in 1962 at Mifflinburg Area High School. By the time he graduated high school he had already started his own business maintaining several hundred hives. Over time he had built his business to include 3000 bee colonies but in 2006 lost 80% of the hives due to CCD (Colony Collapse Disorder). 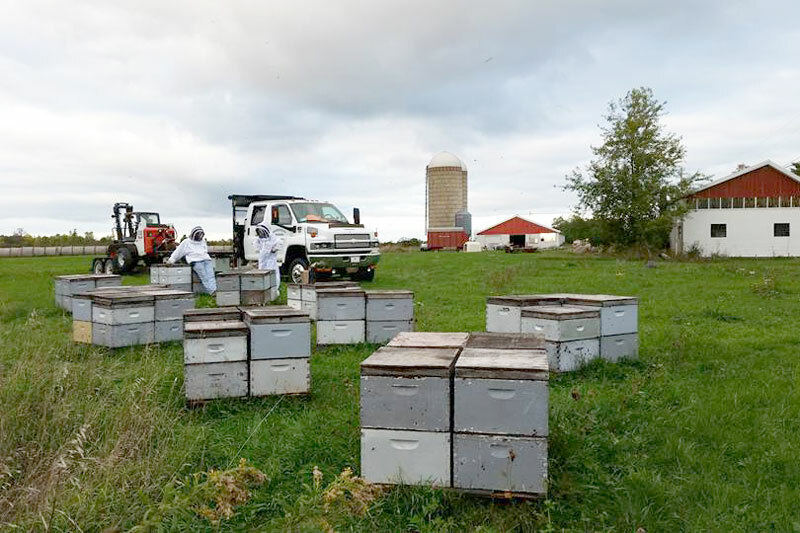 He and his son David R. (along with the two eldest grandsons and other part time employees) now run Hackenberg Apiaries with 1500-3000 active bee colonies depending on the time of year and effects of pesticides. After serving as the president of the Pennsylvania State Beekeepers Association, the American Beekeeping Federation and as a member of the National Honey Board, Dave presently holds the position of co-chairman of the Honey Bee Health Advisory Board. David R. as well has served on several boards for ABF. David is married to Linda and together they have four children with families of their own: David R. and his wife Beth, Kevin and his wife Meg, Jeanne and her husband George and Betsy and her husband Gary. The Hackenberg family also includes nine grandchildren: Joseph, Justin, Jonathan, Jordan, Asher, Jake, Katherine, Andrew and Stephen. Hackenberg Apiaries is involved in the areas of pollination, trucking, honey production and education in the beekeeping industry. David’s life work contributes to the overall pollination and honey production of six states: California (almonds), Florida (oranges and blueberries), Georgia (blueberries), Pennsylvania (apples, cherries, summer vegetables, pumpkins and honey production), Maine (blueberries) and New York (honey production).